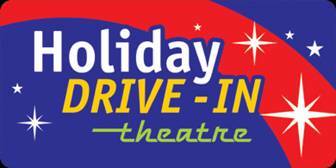 In 1962 There were 4200 Drive-In Theatres in the USA. In 2019, Only 346 survive. You can help save this theatre with your support of our concession stand! Footwear required at all times! Large & Tall Oversized Vehicles (Large Vans, 4x4s, etc. not allowed on first 5 rows. Please be courteous, turn off your cars Headlights as ASAP. Use your parking lights to get around safely! One Parking Space per vehicle on busy nights, chairs and blankets must be placed in front of Vehicle. No Hatchbacks left open unless in row 5 or back or must be tied down level with roof line of auto.